Excitement and interest for RAIL2015 is building! 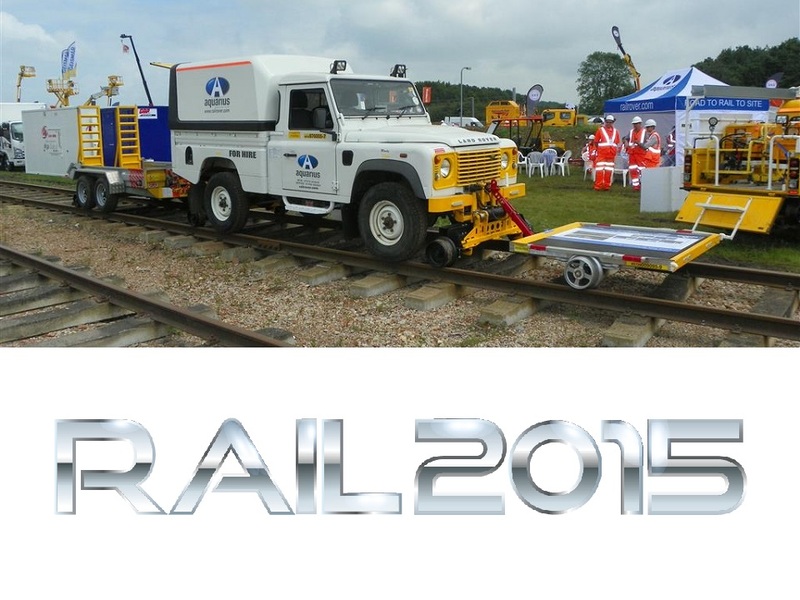 RAIL2015 is billed as the largest outdoor rail event in the UK. It promises to showcase over 200 exhibitors demonstrating best practise, ingenuity & the application of innovation. The diverse range of companies exhibiting includes ISS Labour, Quattro, Avondale Environmental Services, Force One Ltd, Westermo Data Comms Ltd, Omnicom Engineering Ltd, Thermit Welding, TOPCON, PACE Networks to Network Rail Infrastructure Projects Track, the Rail Plant Association and of course… Aquarius Railroad Technologies Ltd. Something for everyone! The show follows on from the very successful Rail Live last year. It will be more interactive than ever: more demonstrations and collaborations. We will have R2R 4x4s, Load Tray Extensions and R2R Plant Trailers on track along side our latest products … watch this space!